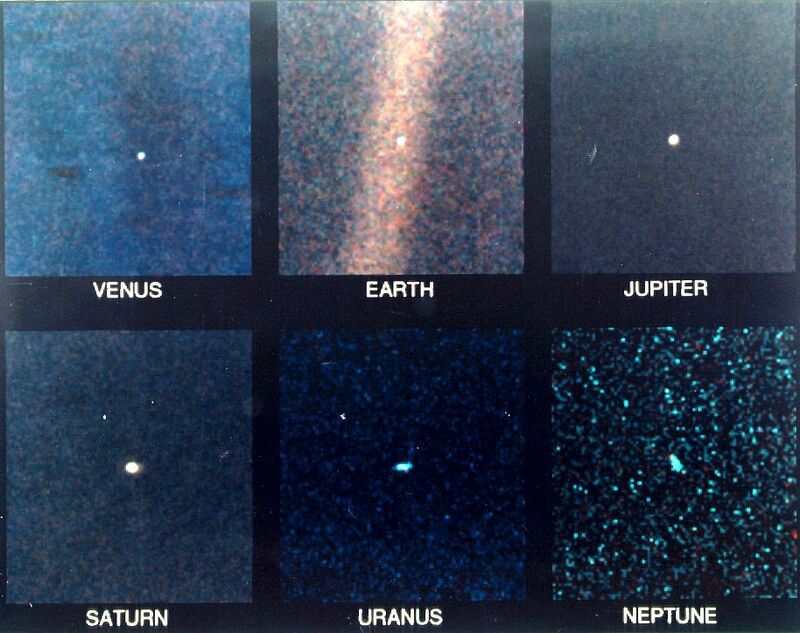 Explanation: After taking spectacular pictures of our Solar System's outer planets, Voyager 1 looked back at six planets to take our Solar System's first family portrait. Here Venus, Earth, Jupiter, Saturn, Uranus, and Neptune, were all visible across the sky. Each, however, was now just a small speck of light, dimmer than many of the stars in the sky. 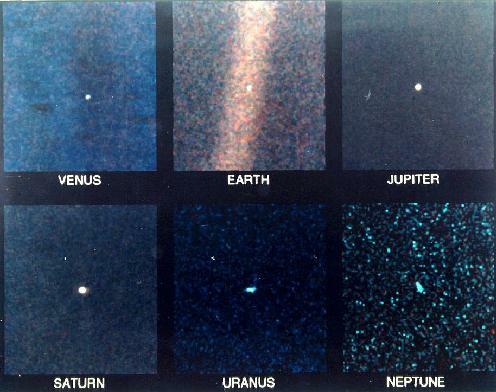 Voyager 1 is only one of four human-made objects to leave our Solar System, the other three being Voyager 2, and Pioneer 10 and Pioneer 11.